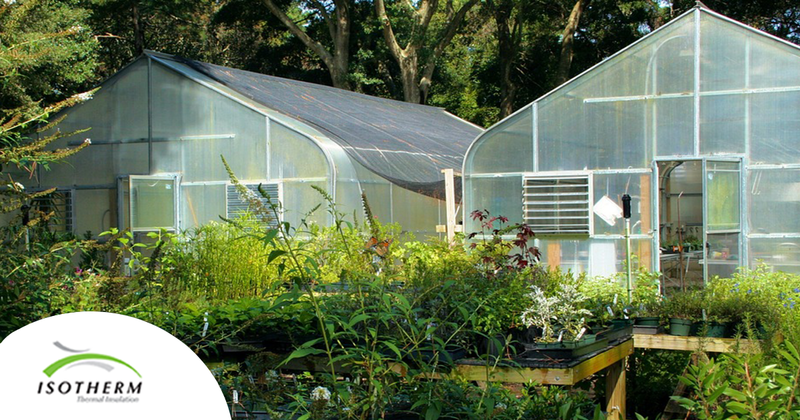 Whether you live in an urban or a rural area, the advantages of owning a productive greenhouse far outweigh the cost of setting one up. A greenhouse is a building with a glass, plastic or fibreglass covering that provides a controlled humid environment for optimal plant growth. By taking these five sensible reasons for installing a greenhouse to heart, you’ll go a long way to preparing for an unpredictable future for your family on a planet where climate change is now an uncomfortable reality. The fact is that globally a tough economic climate is making your monthly food bill skyrocket. This in particular has affected those household essentials such as vegetables and fruit. The most obvious benefit to designing and installing a greenhouse is for the benefit of bypassing your reliance on others by growing your own food. A greenhouse provides space for starting seedlings, and growing plants that require longer growing seasons than what your climate can provide. In regions where monkeys and baboons threaten any veggie garden, the greenhouse can offer valuable protection. Tomatoes, cucumber and peppers all do very well in controlled greenhouse conditions, as do lettuces, strawberries and a host of other fruit and vegetables. Within one or two years the savings from cultivating and harvesting your own crops could far outweigh the cost of setting up the greenhouse in the first place. With a greenhouse, you can have the satisfaction of preparing a meal knowing that most of what is on your plate was grown by yours truly and also knowing that your produce was grown without exposure to harmful pesticides. It is well known that food harvested and prepared within minutes provides better nutrients than food that has been packaged, transported and stored over long periods. Also, the exercise involved in managing your greenhouse, planting, irrigating and harvesting goes a long way to reducing stress and maintaining physical strength and flexibility. This extends to your own family as well, because setting up a well-maintained greenhouse system is a project that the whole family could take part in. Take the tough out of times by selling your surplus crops for cash. Barter with other greenhouse owners and create that all important green-centred, eco-community neighbourhood. Alternatively, there may be marketing potential in your area if you decide to specialise in one product. Out-of-season tomatoes, cucumbers, cut flowers or hanging baskets of flowers and strawberries may be a potential business venture as the demand is high and the price too. Other ideas include specialising in clivias, orchids, bonsai or even aquaculture. With urbanisation a global phenomenon, a greenhouse is perfect for an urban setting, even in a city where space is limited. Greenhouses do not require too much space but need to be located where sunlight can be utilised fully. In colder climates, a greenhouse attached can become an aesthetically pleasing extension of your living space. You can even explore the possibility of erecting one on the roof of your apartment building. Climate change is now an uncomfortable reality. We’re not too sure of what the planet faces regarding extreme weather events, but one thing that’s for certain is that an increasingly unpredictable Mother Nature will continue to throw extreme weather conditions at us. Climate change could bring torrential rainfall to your region, followed by prolonged drought, hail or extreme winds. A greenhouse swings the odds in your favour and allows you to control weather conditions in a small micro-climate. Even now, many of our urban areas find themselves facing severe water restrictions – without a greenhouse any kitchen vegetable garden comes under threat. All in all, we know now that greenhouse gardening is part of the future and that the sooner we can become self-reliant using sustainable technology and alternative energy sources, the better our lives will become, not to mention the health of the planet. Finding suppliers of greenhouses, tunnels and hydroponics systems in South Africa is as easy as looking on the Internet or going to your nearest garden centre. Because greenhouses are now so popular, you’ll find many options that are easy to assemble, rust proof, durable and efficient. When you have understood the principles of greenhouse gardening and got your own system up and running, the possibilities are endless, the rewards well worth the effort, and personal satisfaction guaranteed. So roll up your shirt sleeves and get gardening … the future awaits you.